A Study in Pants | Becoming Star-Lord. It’s fair to say that I’ve had Guardians of the Galaxy on the brain for the past few weeks. I’ve spent hours scouring the internet for helpful screenshots and digging through fan forums for costume ideas. I’m pretty sure I’ve had a dream about talking trees and raccoons, at one point. So, of course, when I was looking for something to watch last night, I quickly settled on Guardians. Naturally, I paid close attention to Star-Lord’s costume and props while watching and was rewarded several times with some excellent looks at his clothing. I wanted to share two particularly helpful screenshots which show his legs in detail. 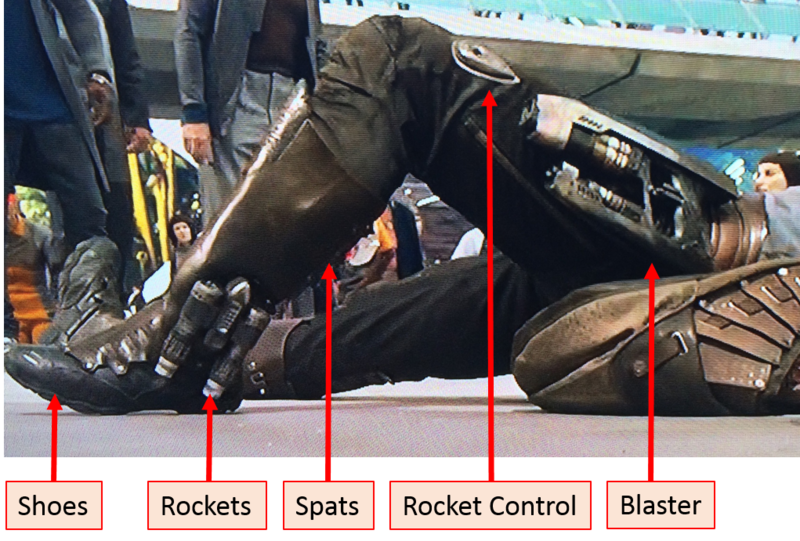 This shot shows some of the details on his legs and his gadgets. 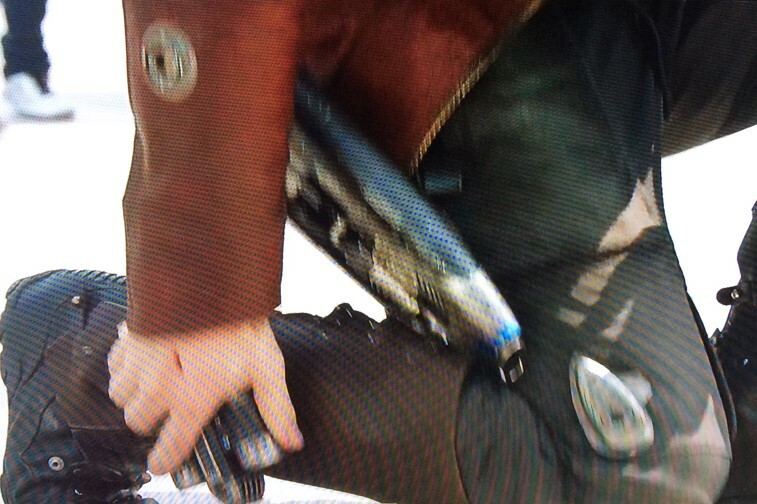 I thought this shot was interesting because it shows his rocket controls and where his blasters sit while holstered. Getting these props shouldn’t be hard, but figuring our how to secure these to the pants effectively and securely may be difficult. 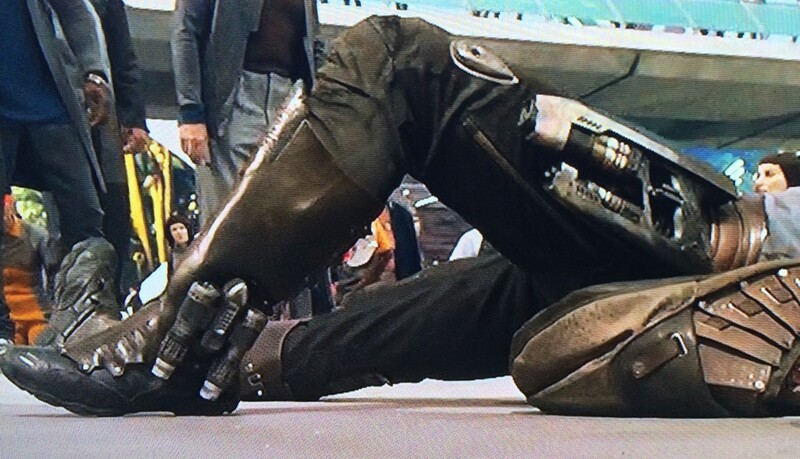 This shows Chris Pratt as he is detaching his rocket booster to attach it to Gamora. This entry was posted in Pants and tagged charity, cosplay, costume, disney, guardians of the galaxy, Marvel, pants, props, Star-Lord, Starlord, Superhero, toys on June 21, 2015 by Liam.